Despite the official RBA cash target falling during the year, the 3 and 10-year government bond yields ended at higher levels. Both the Composite and the Credit Indices produced positive returns. However, the Composite Index was positive by the narrowest of margins. 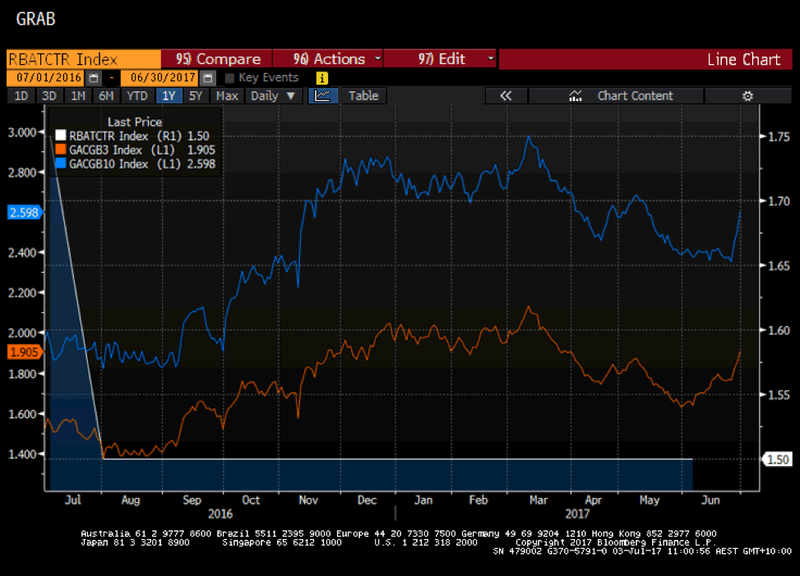 As bond yields rise, prices fall, so over 9 months we witnessed a 0.25% total return for the Bloomberg AusBond Composite Index and a 2.83% return for the Credit Index. Even though yields went up and prices fell, bonds still paid interest in the form of coupons. Therefore, total return remained positive even for the Composite Index. 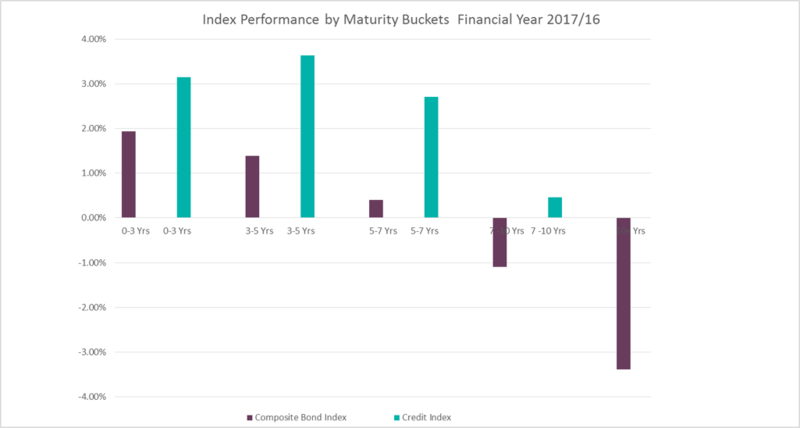 Bloomberg breaks down each index’s performance by maturity buckets and this gives investors more information. Composite Index: The longer the maturity the worse the performance. This is consistent with what we know about bonds. The longer the maturity the more its price is sensitive to changes in yield (this effect is often call duration). Therefore, in a year where bond yields increased, investor portfolios with exposure to shorter dated bonds would be less affected than those with exposure to longer dated bonds. Credit Index: Outperformed the equivalent Composite Index. This is partly due to the fact that credit bonds tend to have higher yields. In addition, the price of credit has generally improved through the year. This means that ‘like-for-like’ a corporate bond has outperformed its Government bond equivalent. The sweet spot for the year was the 3-5 Credit Index. Remember: The Credit Index is comprised of corporate bonds. In Australia the Composite Index is often used as a benchmark. It is largely composed of Australian Government, Semi Government and government-like issuers called super nationals and government agencies. These make up around 88% of the Index. The remaining 12% is corporate bonds. These type of issuers can issue long dated maturities such as 20 to 30 years.